It’s a Wednesday – Half way crossed! Hurrah!To every strong and... – Juka's Organic Co.
It’s a Wednesday – Half way crossed! Hurrah! To every strong and powerful woman reading this right now – have a wonderful day. With the new day comes new strength and new thoughts. Live your life, take chances, and be crazy. Don’t wait because right now is the oldest you have ever been and the youngest you will be ever again. It’s your road and yours alone. Others may walk it with you but no one can walk it for you. There are so many benefits to getting healthy. 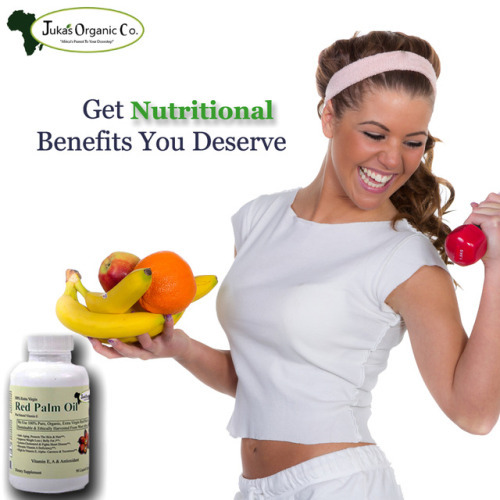 Let our read palm oil liquid capsules help you get the nutrition you deserve. Yes, your trusted brand – Jukas Organic Co is right here with authentic, organic liquid capsules those are made with our own extra virgin red palm oil. We import them directly from the small villages of West Africa and made it available for you at any retail store and online. Each container consists of 90 extra virgin red palm oil liquid capsules for a 45 days regular intake. Have them regularly and stay fit for long run!